Bald is beautiful at a new Tokyo restaurant, where follicly challenged customers are welcomed with open arms and offered discounts not available to their hairier brethren. The Japanese-style pub in Tokyo's Akasaka district, not far from the central government offices, encourages customers to embrace their loss of hair, not hide it. "Baldness is a very delicate issue in Japan, but in Hollywood there are a number of stars who completely ignore their hairless state and proudly carry out their work," said owner Yoshiko Toyoda. "I thought it would be nice to foster that spirit here." Baldness is not as prevalent in Japan as in the West but it still affects 26 percent of men, says Aderans, a leading Japanese hairpiece maker. Genetics plays a major role, but stress among the nation's chronically overworked corporate "salarymen" is also blamed. 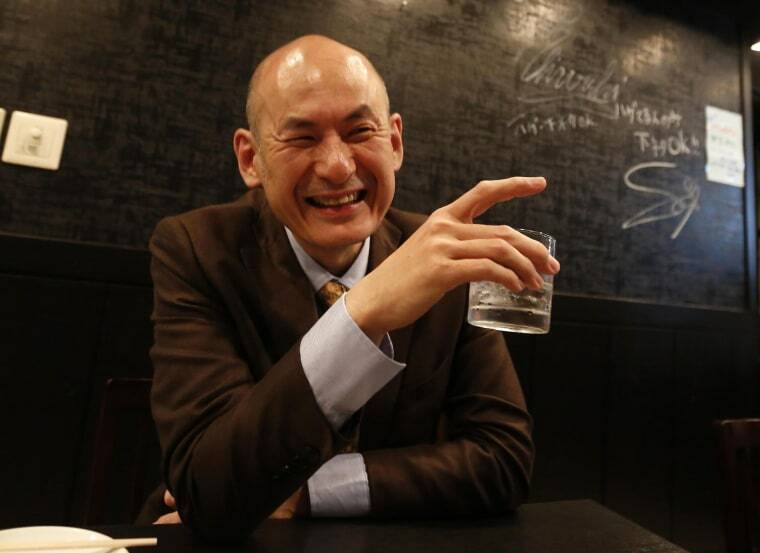 "When you first start to go bald, it's a huge shock, no question," said Shiro Fukai, 48, as he enjoyed a drink. "Japanese businessmen have it really tough. The stress accumulates, then your hair begins to fall out." Easing this stress was Toyoda's original inspiration for "Otasuke" - "Helping Hands" - which features the Japanese pub fare loved by middle-aged men, such as grilled chicken on skewers and stewed tripe, at low prices. "I was thinking of some way to help support salarymen, but without a theme the idea was lame," Toyoda said. "Then one day I was walking downtown and kept seeing bald guys. That was it." Each bald customer gets a 500 yen ($4.92) discount, with the rewards increasing along with the number of bald customers in each group. If five go drinking together, one drinks for free.